Funeral services for Lt. Col. Charles “Chuck” Medlock, Jr., age 83 of Clarkesville will be held at 11:00 AM Saturday, November 24, 2018 at Hillside Memorial Chapel. Rev. 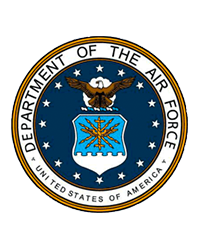 Tommy Stowe will officiate with interment to follow the service in Bethlehem Baptist Church Cemetery with military honors by the United States Air Force. Lt. Col. Medlock passed away on November 18, 2018. Born in Habersham County on April 1, 1935, Lt. Col. Medlock was the son of the late Charles Henry “Toddy” and Dorothy “Dot” Spivey Medlock. Lt. Col. Medlock graduated and commissioned from the US Naval Academy in Annapolis, Maryland and earned a Masters Degree from the University of Missouri. While serving in the Air Force Lt. Col. Medlock earned the Small Arms Expert Marksmanship Ribbon, the Air Force Longevity Service Ribbon with four oak leaf clusters, the National Defense Service Medal with one bronze service star, the Vietnam Service Medal with three bronze service stars, the Air Force Presidential Unit Citation, the Republic of Vietnam Gallantry Cross with palm, the Republic of Vietnam Campaign Medal, the Distinguished FlyingCross with four oak leaf clusters, the Meritorious Service Medal with one oak leaf cluster, and the Air Medal with nine oak leaf clusters. Following his honorable discharge with over 20 years of patriotic service, Lt. Col. Medlock retired from Lockheed-Martin. He was a member of Clarkesville Masonic Lodge #325 F&AM and a member of Bethlehem Baptist Church. Survivors include his wife Juanita Foster Medlock of Clarkesville, daughter and son in law Myra Ann and Adam Edwards of Fredericksburg, Virginia, son Jon Gregory Medlock of Clarkesville, son and daughter in law Charles Foster and Martha Medlock of Austin, Texas, five grandchildren and six great grandchildren. The family will receive friends at the funeral home on Friday, November 23, 2018 from 2:00 PM until 4:00 PM.